Presentations and interactive demonstrations are scheduled throughout the morning and afternoon in an open, informal environment. Guests are encouraged to enjoy the full day, or may drop in and out as needed. The Godfrey Lowell Cabot Science Library is a hub for science and engineering research and education at Harvard University. 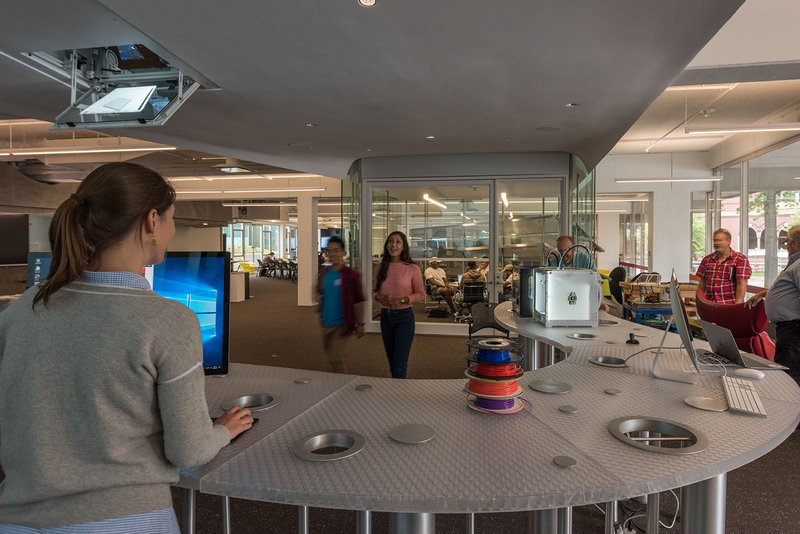 Featuring flexible spaces great for events of all types, Cabot connects students, researchers and faculty with experts beyond their academic departments. Cabot Science Library is located on the first floor of the Science Center, at One Oxford Street, at the intersection of Oxford and Kirkland streets. The Science Center is northeast of Harvard Square in the North Yard. For parking information, please see Harvard Transportation and Parking. Parking is limited and expensive throughout Cambridge, and using public transportation or walking is usually a better option. Non-Harvard affiliates may use the Harvard Guest wifi network. Directions for connecting can be found here.